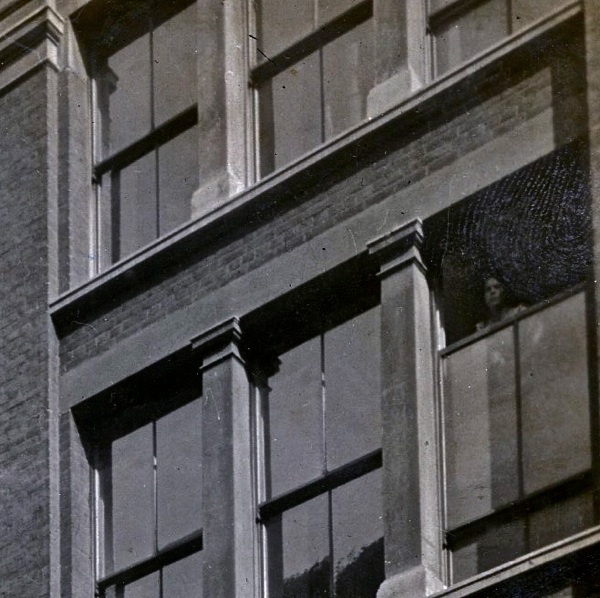 Observe this young woman peering from the upper window of S.Festenstein & Sons in Banner St, Bunhill Row, around 1900. She looks a little precarious, as if she had climbed up onto a table in her curiosity to look down at the photographer below. 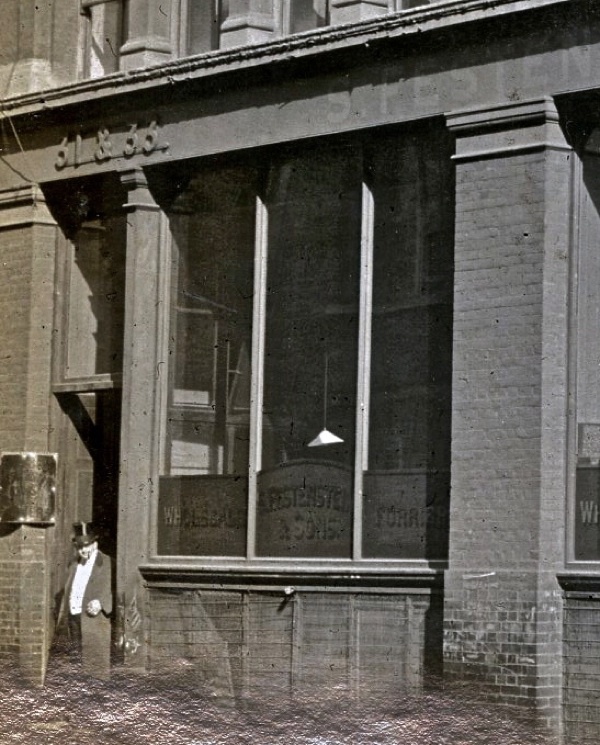 She did not know that Mr Festenstein was standing in the doorway in his top hat, three floors below, and I wonder if any comment was made when the photograph was shown to the proprietor later. Yet she had won her place in eternity, which is surely a satisfactory outcome from taking a five minute break? Danny Tabi, the last furrier in the East End, told me that in 1967 he worked at Gale Furs in Fournier St, when James Mason was filming The London Nobody Knows in the street outside. There is a famous tracking shot that captures all the factory workers as they crowd the pavement and lean from the windows. Danny can name all of them and now regrets that – unlike the woman at Festensteins – he forsook his opportunity to be captured on film, just because he wanted to finish his piece of work in hand. 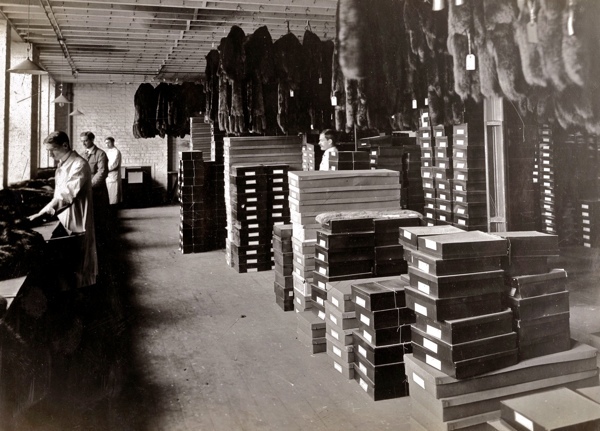 The fur trade flourished in East London for centuries, working with imported skins that came through the London Docks – and these photographs of Festenstein & Sons, one among hundreds of similar companies, record a trade that no longer suits the sensibility of our modern world and has almost vanished entirely today. Is this Mr Festenstein in his silk hat? Shocking …one trade it is good to see the disappearance of. 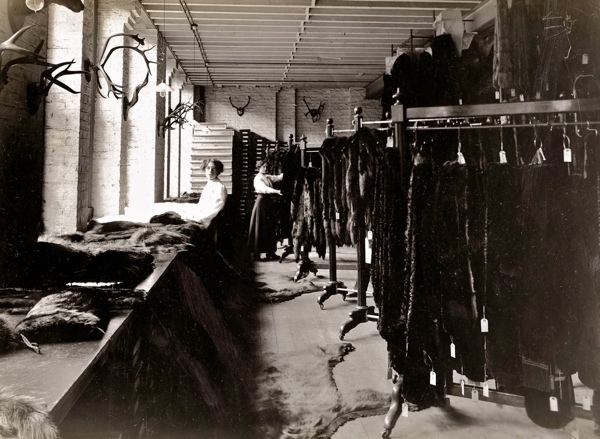 I am pleased to hear that another ex-furrier’s factory, in Redchurch Street, has just been taken over by the wonderful Mast Brothers from New York and will soon be a delicious chocolate factory….a product which is equally sensuous, and far more ethically sound. 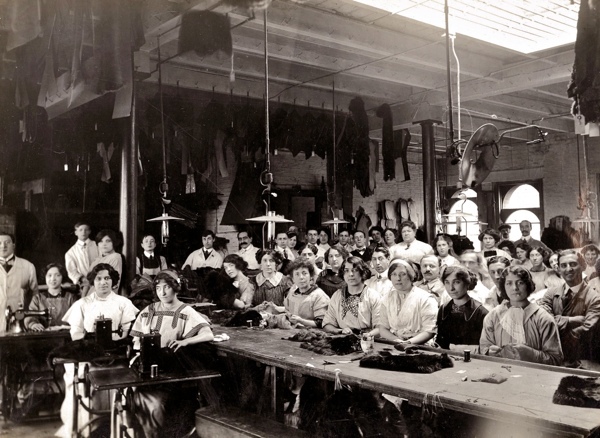 Keeping industry alive in the East End. The beginnings of a new East End story perhaps…..? Thanks for these photos. 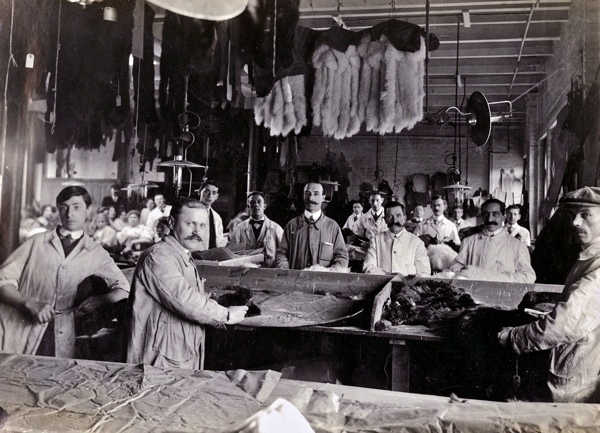 My mother’s family worked in the fur and skin trades which flourished in the Finsbury area (not really east London) up until WW2 when the area was heavily bombed and all those warehouses and factories disappeared. 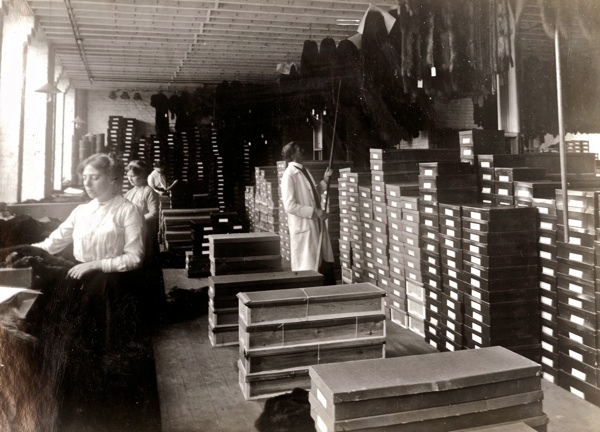 My grandmother did ‘outwork’ for firms in Banner Street after WW1 – could have been for Festenstein – my grandfather worked in a leather warehouse and made deliveries in the City by horse and cart. 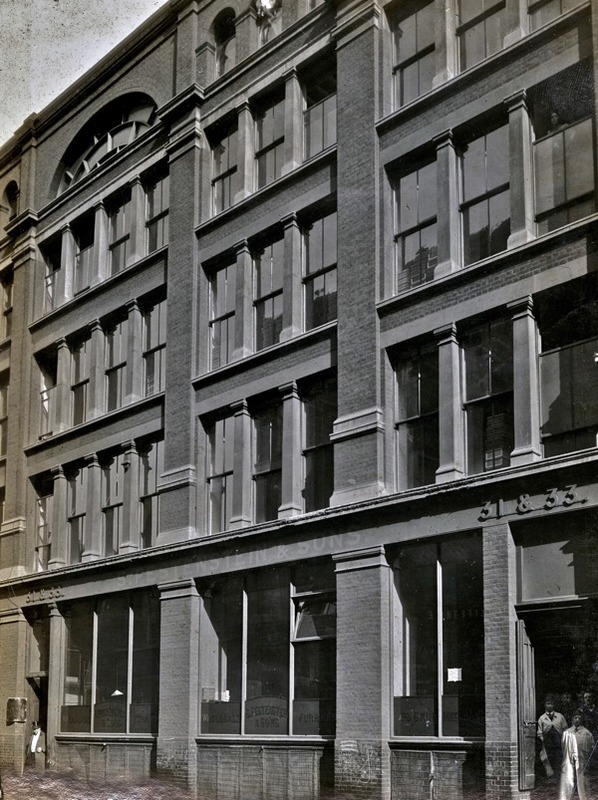 A lot of the people who lived around St Luke’s worked for these factories and warehouses before the war. A difficult subject, but not a lot of choices for those generations. 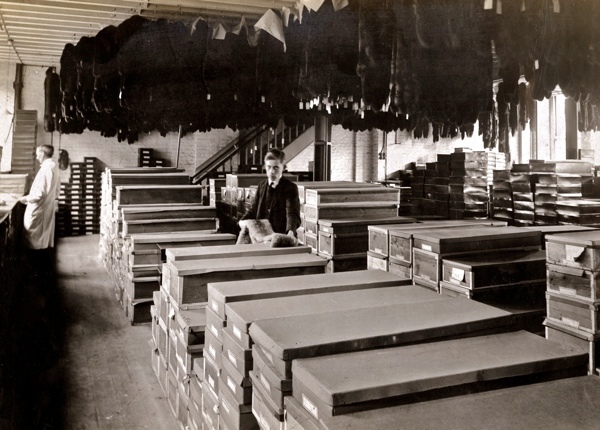 Marvellous archive photos which could equally well be New York. What is the October header a photo of? 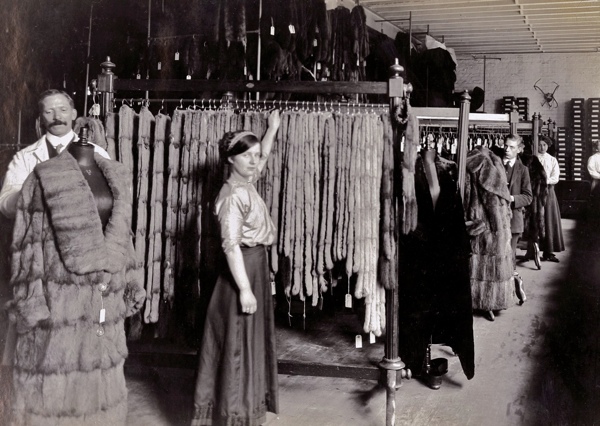 My mother was a fur machinist in East London right up until the 1970s. 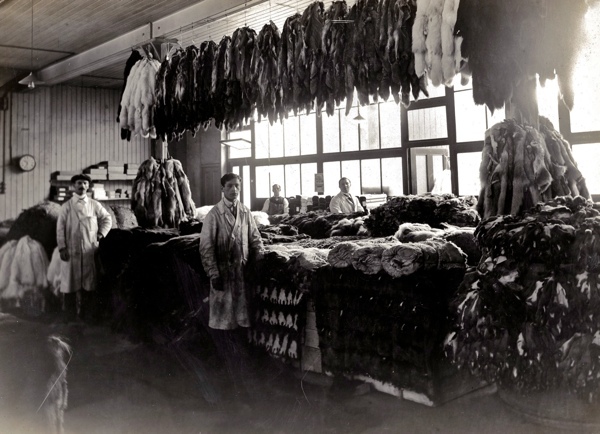 From the age of 14 she, along with her father, various aunts and other family members, worked in the fur trade and i can vaguely remember the run down building where she worked when i used to visit her at work sometimes with my dad. 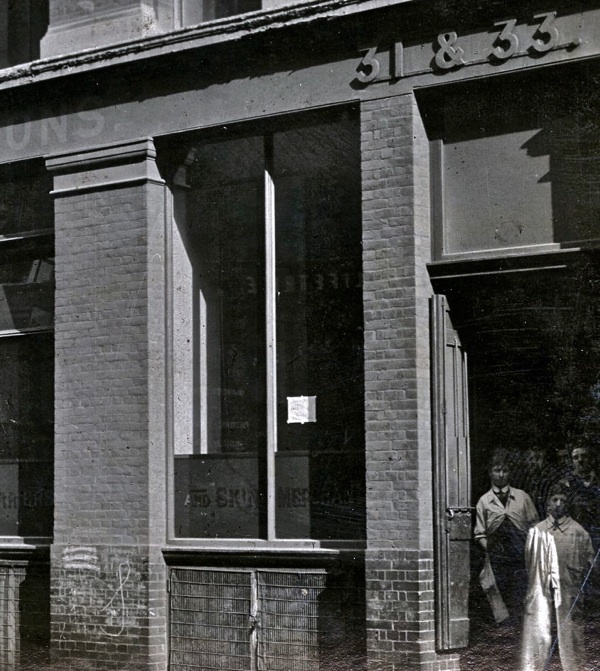 Although the parts of East London, from Spitalfields to Whitechapel was a thriving place for people to work I can clearly recall how run down the old buildings were, but people were happy and knew there stuff. Sad to see the decline of all those trades. I’m still trying to trace Sid Keye (furrier) for whom my mother and family worked. 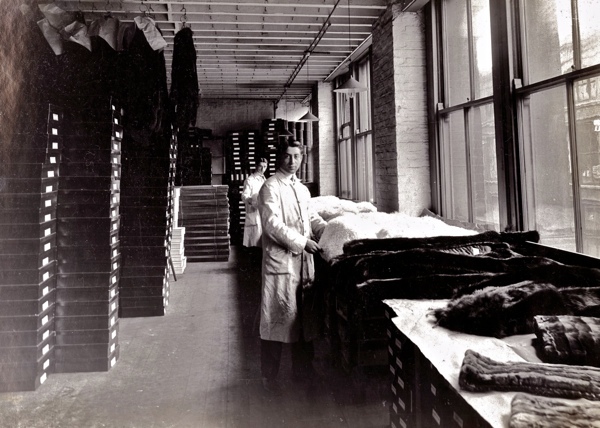 My Great Great Grandfather James Moore was a Butcher 1840′s in Spitalfieds his daughter Mary-Ann Moore, my Greatgrandmother worked in Silver st, London 1860′s at 14 yrs old in a Furriers.. On the 1860 census. If anyone knows of the Company or has details would appreciate the information. 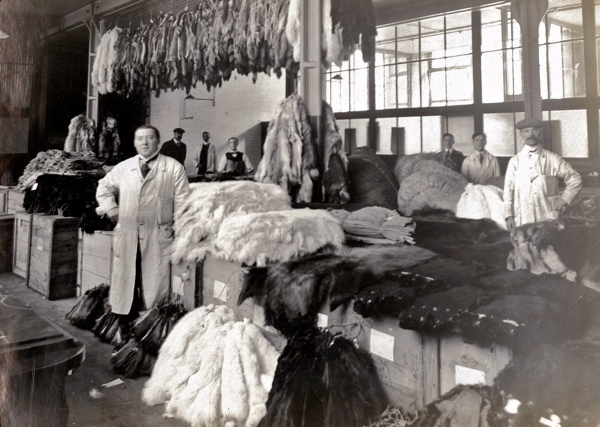 My grandfather, Frederick Charles Cloutman, was a furrier and had a showroom at 10 Clifford St and then 19 Upper Grosvenor Street in the 1950s. His father before him and his brother were all furriers. If anyone has any information about his business, called Frederic, I would be most interested to learn of it. He dressed many famous actresses of the day. Sadly no pictorial evidence exists of anything from those times.